Designed by architects Scott Tallon Walker for University College Hospitals NHS Foundation Trust, this specialist facility is dedicated to delivering advanced cancer treatment and surgical services in central London. The facility is one of the first of its kind in the UK and will form part of a new national high energy proton beam therapy programme run by the NHS. The facility consists of a 5 storey 220,000ft2 Oncology and Haematology centre, providing inpatient treatment facilities, including 7 operating theatres. A Proton Beam Therapy Centre of 80,000ft2 arranged over five levels is located below ground (to a maximum depth 28.5m). Above ground, a structural grid of 9m x 9m was adopted, resulting from structural efficiency versus cost optimisation combined with clinical space planning. Structure-borne vibration was a key design criteria. Early in the process a range of options were presented by CampbellReith. The solution adopted utilises deeper slabs than would be required if governed by deflection and strength alone. 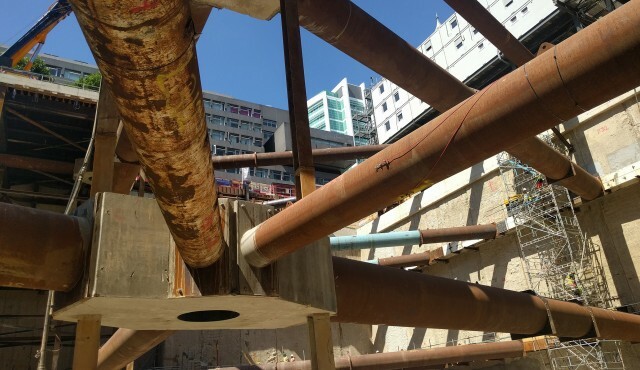 This has provided full flexibility throughout the entire facility, enabling vibration sensitive equipment to be relocated at any time in the future. Cross sections were created to show depth of geology across the site. In addition to providing structural engineering design services, CampbellReith’s team of specialist in-house geotechnical engineers, environmental scientists and infrastructure engineers form an integral part of our project team, delivering both specific project services and providing additional advice to our structural engineers to enable the formulation of the optimum building solution. 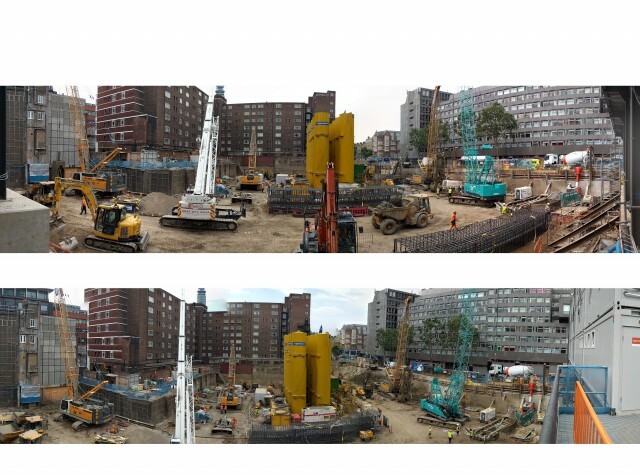 The complex deep basement was finished in 2017 and the site keeps changing every day as the project progresses. The project has received the 2018 Ground Engineering “UK Project with a Geotechnical Value of over £15M” Award.